Persistence may prove to be exceedingly important to a home seller. In fact, a persistent home seller may be better equipped than others to reap the benefits of a fast, profitable property selling experience. Now, let&apos;s take a look at three tips to help you become a persistent home seller. Persistence and confidence often go hand-in-hand. And if a seller allocates time and resources to learn about the housing sector, he or she can build the confidence needed to remain persistent throughout the home selling journey. Take a look at the prices of available houses in your city or town that are similar to your own residence. By doing so, you can see how your house stacks up against the competition and identify innovative ways to differentiate your residence from the pack. Furthermore, it may be beneficial to look at the prices of recently sold residences in your area. This housing market data can help you determine whether you&apos;re preparing to enter a seller&apos;s or buyer&apos;s market. A persistent home seller will take a data-driven approach to establish a competitive initial asking price for his or her residence. That way, this seller can set an aggressive home price that will help his or her residence stir up plenty of interest as soon as it becomes available. Conducting a home appraisal offers a quick, easy way to receive an expert property valuation. It usually only takes a few days to receive a home appraisal report. Once a seller has this report, he or she can use it to set an aggressive initial home asking price. Even a persistent home seller realizes that he or she may struggle to navigate the home selling journey alone. Thankfully, if you hire a real estate agent, you can receive comprehensive support at each stage of the home selling cycle. A real estate agent is committed to helping a home seller enjoy a seamless property selling experience. He or she will work directly with a seller and keep him or her up to date throughout the house selling process. As a result, a home seller and real estate agent together can maximize the value of any house, at any time. In addition, a real estate agent is resourceful and will do whatever it takes to promote a residence to the right groups of buyers. He or she will host open house events and home showings and provide a property seller with plenty of feedback. Best of all, a real estate agent maintains constant communication with a house seller. And if a seller has questions, a real estate agent is ready to answer these queries. For home sellers who want to achieve the best-possible results, persistence is paramount. With the aforementioned tips, anyone can become a persistent home seller and boost the likelihood of a successful house selling experience. Toni Itkin is a licensed Realtor® serving buyers and sellers across Buckhead, Vinings, Sandy Springs, Roswell, Marietta, East Cobb, and other high-profile areas of Metro Atlanta. Toni began her real estate career in 1992 with Buckhead Brokers, where she earned "Rookie of the Year” before rapidly ascending to her status as a multi-million dollar producer. Since then, she has been consecutively featured in the Who’s Who of Atlanta Real Estate for many years. Equipped with sharp negotiating skills, an intuitive marketing acumen, and a strong network of professional relationships, Toni is a fierce advocate for her clients. Whether it’s a one-bedroom condo or a multi-million dollar mansion estate, Toni’s ultimate goal is to find her clients a home that perfectly fits their budget and lifestyle. Toni’s reputation for professionalism and trustworthiness in and out of the brokerage community is of utmost importance to her. As a Certified Luxury Homes Specialist, Toni has a finger on the pulse of Metro Atlanta’s luxury real estate market, and as a Certified Relocation Specialist, she is uniquely positioned to provide support for homebuyers who are relocating. Toni is a member of Georgia Association of Realtors®, National Association of Realtors®, Atlanta Board of Realtors® and Haute Residence’s Luxury Real Estate Exclusive, Invitation-only Network. Toni is also a recipient of the Atlanta Board of Realtor®’s coveted Crystal Phoenix Award, which means she’s achieved the organization’s "Multi-Million Dollar Club” status for a minimum of 25 years. 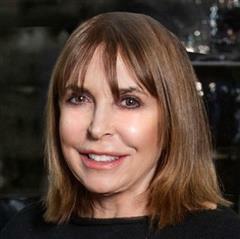 As a Coldwell Banker Residential Brokerage agent, she is consistently ranked among the company’s top one percent of agents worldwide and has been recognized as an honoree of the International Diamond Society, International President’s Circle, International President’s Elite, President’s Premier, and Society of Excellence. Toni is also very active in local charities and civic organizations, including Habitat for Humanity, the Best Friends Animal Society and the Atlanta and Cobb County Humane Societies. In addition, a portion of Toni’s sales commission on every closed transaction goes directly to the Cares Foundation, which makes a difference in Atlanta communities by supporting a variety of local charitable organizations. She lives in East Cobb and enjoys traveling, playing golf and tennis, and spending time with her pets and her husband, Ernie, a Cardiothoracic Surgeon.